Sitara has been working in the creativity area for many years exploring they way to create consciously. 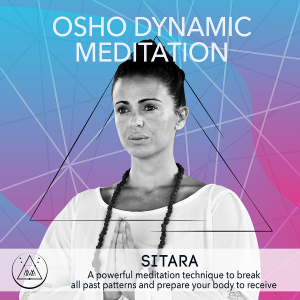 She is a certified Osho Active Meditation Therapists and a certified Theta Healer Practitioner . Sitara has been an Osho Sannyasin since 2003. She lived permanently in India for 7 years and travel the world with the most well known masters including Dalai Lama, Sad Guru, Ama Ji and Devi Ma. She certified in Pune, India to facilitate Osho Active Mediations. This meditations have been created to experience No Mind effortless.She is the Co-Founder of The Move-ment; a Be Here Now Experience.